A stunning 9ct white gold eternity band from Perfect Fit, made to sit perfectly with Perfect Fit bridal set product code 8455082. 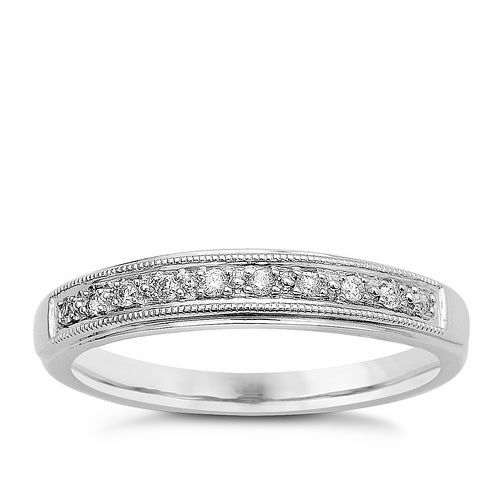 Set with shimmering diamonds and milgrain detailing for luxury and glamour. Available to order in store only.